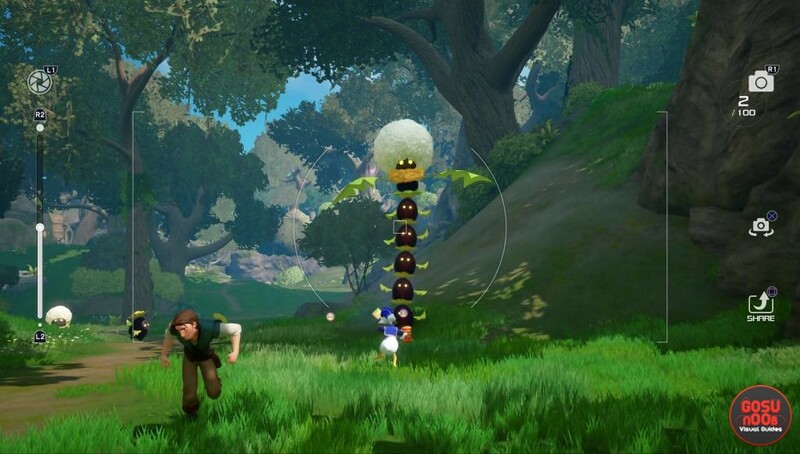 Chief Puff is one of the photo mission targets in Kingdom Hearts 3. You’ll need to find and take a photo of it in order to unlock a new synthesis recipe. If you haven’t been paying attention to enemy names before taking on this mission, you might have a hard time finding it. No worries, though, we’re here to help. Our Chief Puff KH3 locations guide will show you where to find it, so you can compete the photo mission and get the crafting recipe. Where to find Chief Puff in KH3? The Chief Puff can be found in the Kingdom of Corona, the world from Tangled. It looks like a blad bead with a big white puff on its head and leaves for arms. We’re not 100% sure, but we think you’ll have to wait for it to extend before you snap the photo. We shot the picture when it was extended (standing on top of half a dozen other beads), and it took a few tries to register. Just keep snapping until you get the red pop up saying you’ve completed the photo mission. The easiest place to find them would be near the Hills fast travel point (the second one). Once you spawn, head north, keeping the lake on your right. There’s a group that ambushes you right next to the lake, and another one further north, near the valley’s end. Once you’re done, simply head back to the Moogle shop and the new synthesis item will be available. If you’re having trouble with other photo missions, you might want to take a look at our water core & flame core and festival picture guides. We also have guides for other problems in the game, like the kid korral entrance or how to open red box in Olympus.